NEXT APPEARANCE: WINTER WEEKEND at the Ashokan Field Campus (www.AshokanFieldCampus.org) February 8th, 9th, and 10th, 2008. 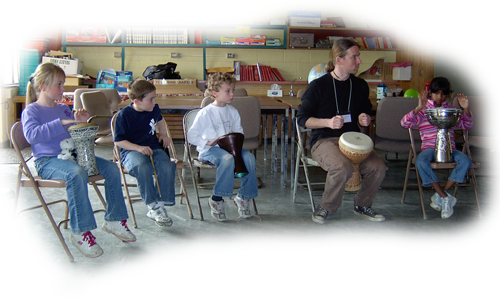 It is an interactive, community-based educational program that uses music as a means to introduce or develop a variety of elements in peoples’ everyday lives. Through the use of musical games, structured traditional rhythms, and improvisation, participants from all levels of musical ability can play in a comfortable and welcoming setting. 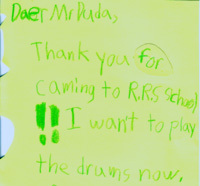 Where can Let’s Drum be offered?